To the dismay of fans everywhere (Peppermint Patty included), Doris Day has pretty much fallen off the radar of society over the years. I, for one, thought she was dead until I read that she wasn’t — she’s just in hiding. 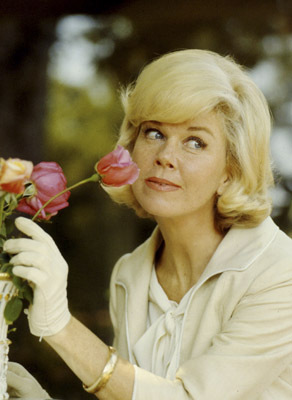 Well, CBS Sunday Morning did a great feature on Doris Day to help us understand what she’s up to, and how she got to be a recluse who only makes one public “appearance” each year. Perhaps video will be made available online later. I think you are the GREASTEST actress.I am 53 so my memory is not what it use to beI miss your tv show ,I just miss you period.